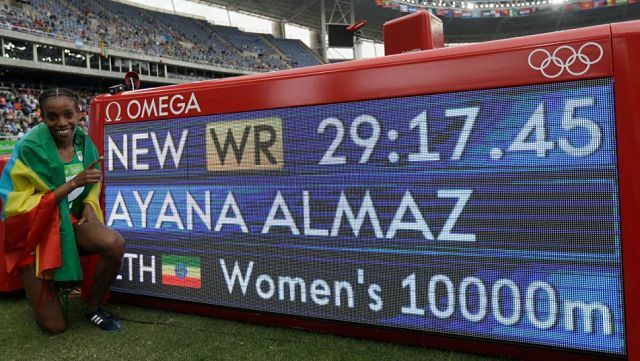 New York (TADIAS) — 24-year-old Almaz Ayana won Ethiopia’s first gold medal at the 2016 Summer Olympic Games in Rio de Janeiro on Friday breaking the world record in the women’s 10,000m. 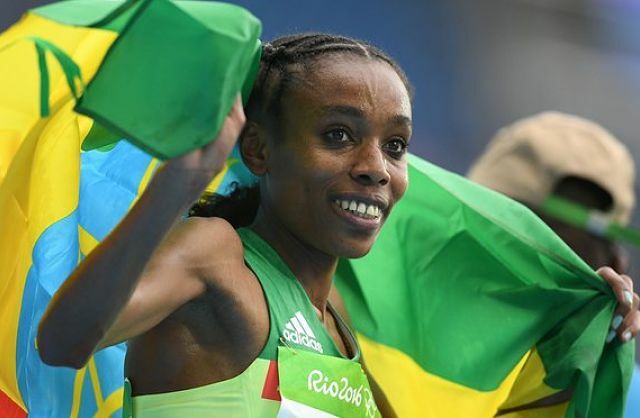 Following in the historic footsteps of Tirunesh Dibaba, Almaz is aiming to score a double victory in the 10000m and 5000m, and is on her way to writing her own Olympic history. She finished the race in Rio on Friday in a new world record time of 29 minutes, 17.45 seconds.